Congratulations to NASA and Cdr. Collins of the Discovery OV-103 . . . a ship that hardly shows her almost-22 years of age. "These shuttles . . . they are formidable vessels?" There's also a bittersweet irony . . . after Challenger, the first ship to launch was Discovery. Now, once again after Columbia, she's the first ship to go up after the loss of one of her sisters. Though I hope Discovery, Endeavour, and Atlantis the very best, one wonders . . . if anything happens to Discovery between now and her retirement circa age 27, what ship would they send up first? The truth is, probably none at all. Godspeed Discovery, and get home safe. All the best to fellow Aussie Andy Thomas, and the crew of Discovery. Good to see the shuttle up again, let's hope all is well on re-entry, too. I wish only the best for the shuttle crew. Good luck up there, among the stars. I still think they need to either turn the space-station supply over to private-enterprise (in time ala space-ship one) or redesign the shuttle, this whole foam thing is just a faulty design in the whole damn peice, but I do still hope the crew the very best. I read that Discovery lost something, too... Can't they build better tanks, which don't loose parts??? There are several competing demands that have to be met simultaneously. 1. The external tank must be covered by something so that the cryogenic-temperature fuels (liquid hydrogen and liquid oxygen) don't warm up while sitting on the pad (or due to the profound heat from air friction due to launch). So, you don't get to just leave it uncovered, and you can't just cover it in plastic Thermos material and hope for the best. 2. This covering should weigh as little as possible since it must also go up with the shuttle. So, you can't really use a vacuum double-hull (a la a metal Thermos) for insulation, since by that point you've doubled the weight of the ET. 3. This tank must also serve as structural strongback for the entire shuttle stack. That is to say, you can't spend all your weight allowance on insulation, since the tank has to in some way join the shuttle and two solid rocket boosters, none of which can serve as strongback. 4. The covering must be cheap. This is somewhat less important now than it was during the shuttle's original design, since originally the shuttle was intended to be a workhorse with launches fifty times a year. (It was hoped that she'd be paid to carry commercial, military, and scientific payloads all the time, recouping her expense plus some and making LEO a routine place for man to be. This is so far afield of our current view of NASA ('the honorable money-pit of national pride') that I feel I should reiterate it . . . the shuttle would fly often enough to make the shuttle into a business, one which might even be profitable for NASA. So, since it has to be cheap, light, and capable of a profound thermal insulation, one can hardly imagine a better candidate than foam, which is easily made, easily applied, and fits the bill quite well. The only problem is that there are complex joints and whatnot that the foam has to cover and hang on to. These areas of complexity cannot simply be removed . . . especially in the case of the connections to the orbiter. At this point, perhaps the best thing they could do would be to redesign the external tank with more curves and such to try to get rid of some of these complex points. 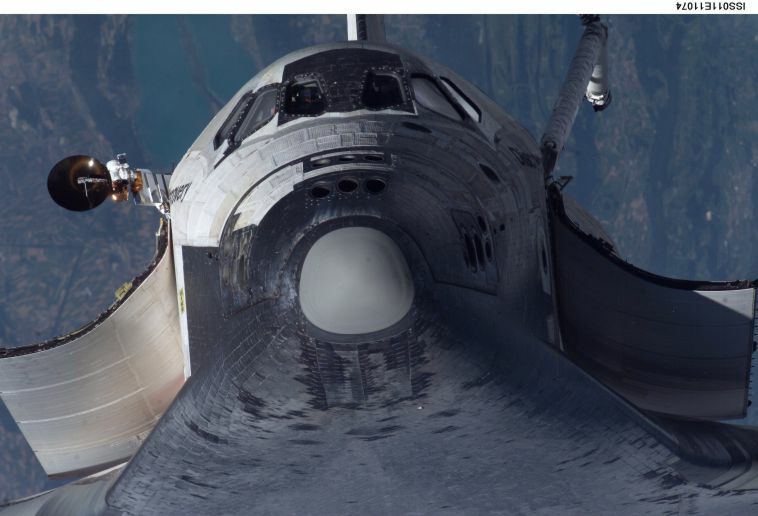 For instance, one can imagine that a teardrop-shaped cover over the forward connection to the shuttle might not help with issues there. However, (a) it's all too easy to end up with a major redesign costing mad-$$$, and (b) anything like that is probably going to weigh a significant amount, producing a penalty. On the other hand, the external tanks have always lost foam, and it's only brought down an orbiter once. It's the same foam they've always used, and unless there's some weird environmental factor at the plant that makes the external tanks that has produced a change in the foam, then we can safely say that the Columbia foam event was an aberration size-wise, as opposed to saying BS like "it's a miracle we haven't lost them all". The simple fact right now is that the shuttle is much safer than people realize. No human system is going to be perfect, but everyone is overreacting about this foam thing, and about the shuttle in general. Shuttles are extremely resilient . . . hell, Atlantis made safe landing in 1992 with a panel gouge in the same sort of spot that brought down Columbia. And NASA's leaders and engineers should not be accused of stupidity. They've designed a reliable ship and launch system that has successfully taken human beings to frickin' space and back over a hundred times. While sci-fi buffs might want to guffaw at the idea that we should be impressed by this, they are failing to realize just what an achievement that is. There are no special effects which can truly replicate this.